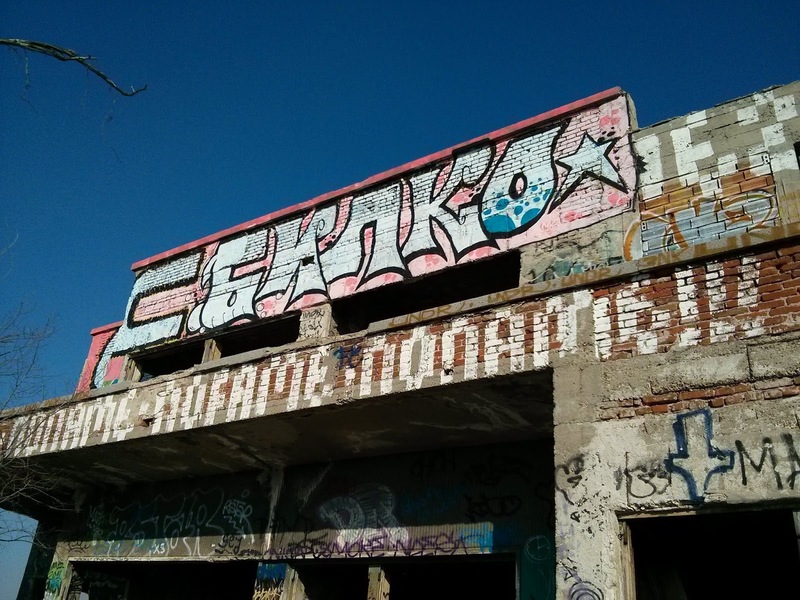 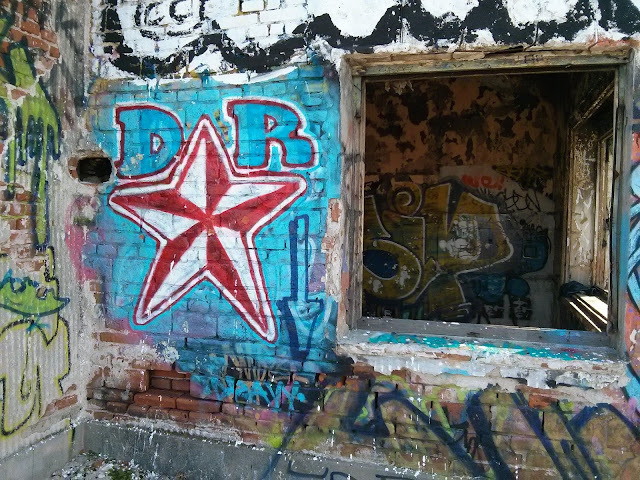 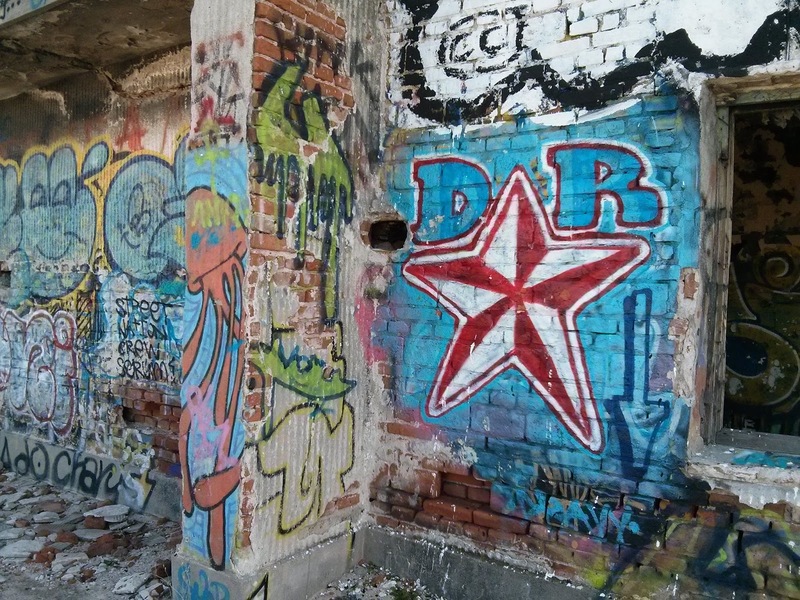 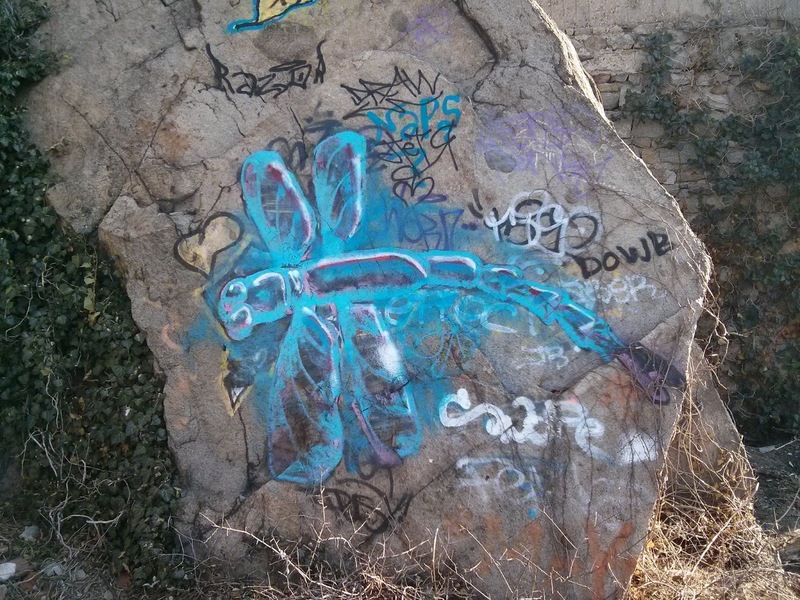 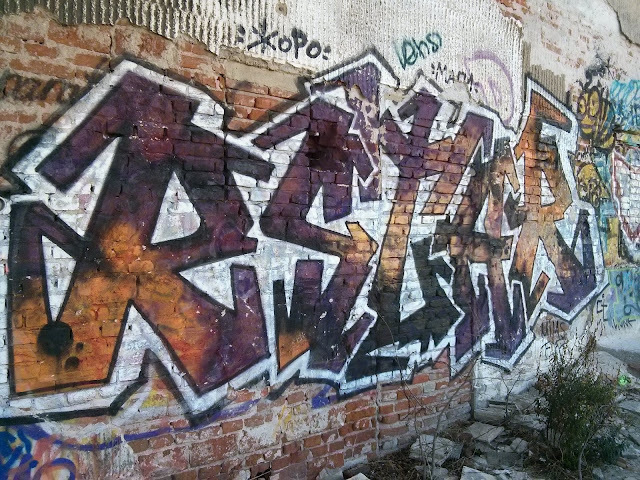 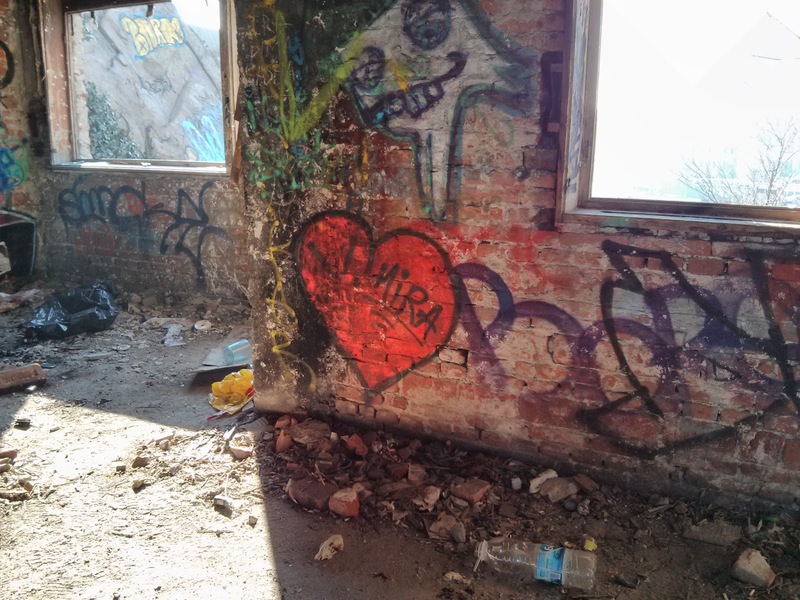 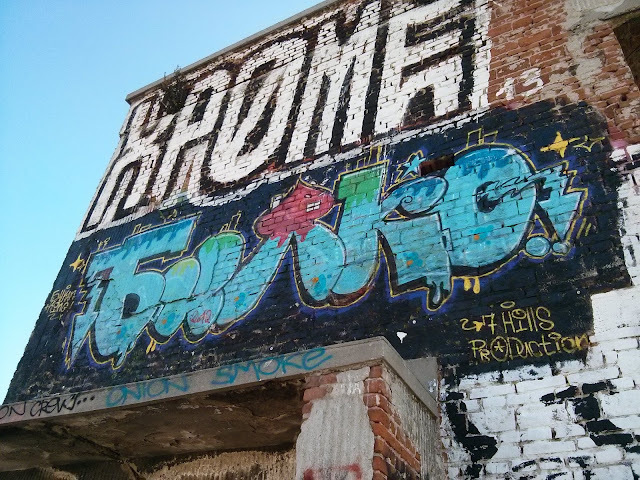 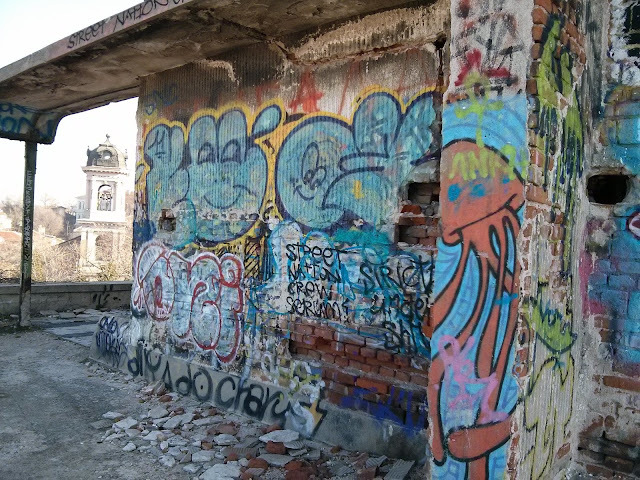 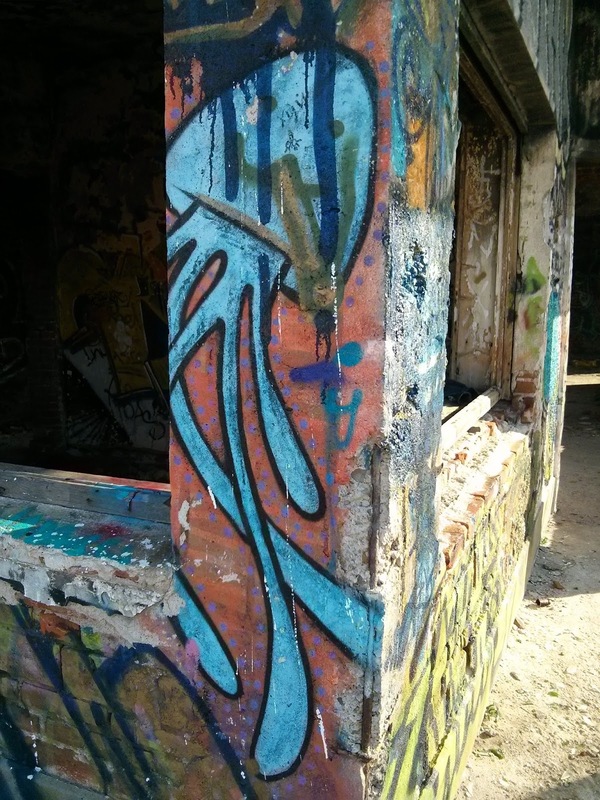 For my Uncle Howard, here are pictures of some of the plentiful graffiti in and on the long-abandoned building on top of one of Plovdiv's main hills, Taksim Tepe. The building looks like it might have been some kind of state-owned community center during the Communist era. 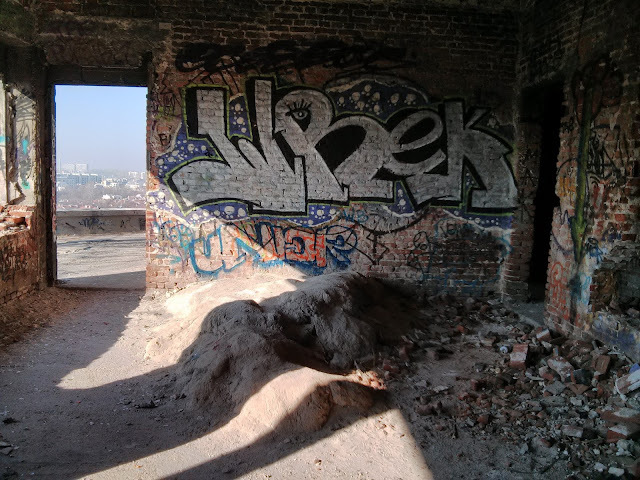 In front of the wall is the top of the rock mountain, left as part of the room.